Matcha green tea has taken the world of health and fitness by storm in recent years. Now, you can find the powder in just about every coffee or health shop, taking the form of lattes, desserts and even shots – as well as brewed in hot water of course. 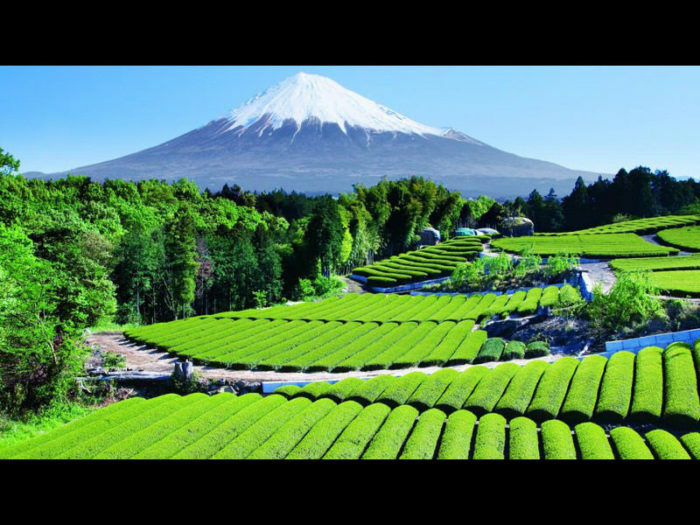 Its recent fame has made it one of the most popular choices for a tea across the world. But what makes it so popular? And what do the health benefits of matcha green tea really offer? 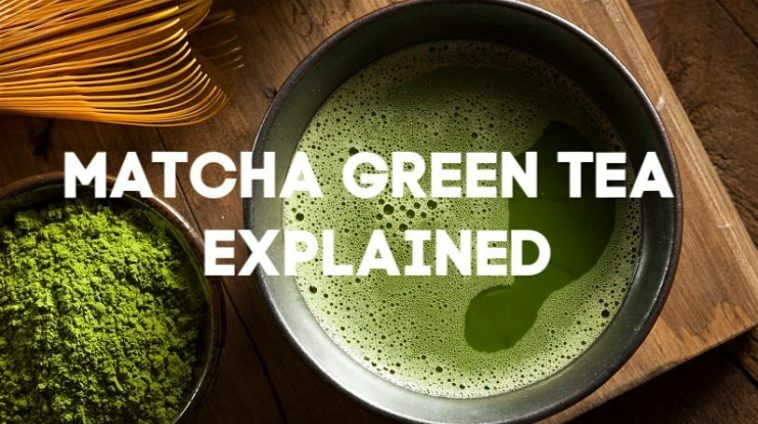 This article explores the science behind matcha to provide you with everything you need to know, from how it’s grown, through to safety. Matcha is derived from the same plant as green tea, Camellia sinensis. However, it’s different approaches to the growing processes creates the matcha variation. Around 20-30 days before the plants are due to be harvested, farmers cover the leaves so they’re not in direct sunlight. This forces the plants produce more chlorophyll, which also heightens the amount of amino acids in the leaves and gives matcha it’s distinctive darker shade of green. The plants are then harvested, and the stems and veins removed so the leaves can be ground into matcha green tea powder. This is the form we know and use most commonly. Due to this growth process and the fact the whole leaf is used to make matcha powder, it contains much higher levels of catechins (natural antioxidants) and caffeine compared to green tea. This form of green tea is unique to Japan and has been used as a traditional ceremonial tea for centuries. Since it’s boom in popularity, it’s now very common in drinks, desserts and snacks. Matcha as we know comes in a ground form. This powder is then used by mixing it in to a variety of different foods and drinks to add its unique flavor and health benefits. What does Match green tea do? This is a particularly powerful form of tea and as such, scientific research has discovered it plays a number of different roles within the body. 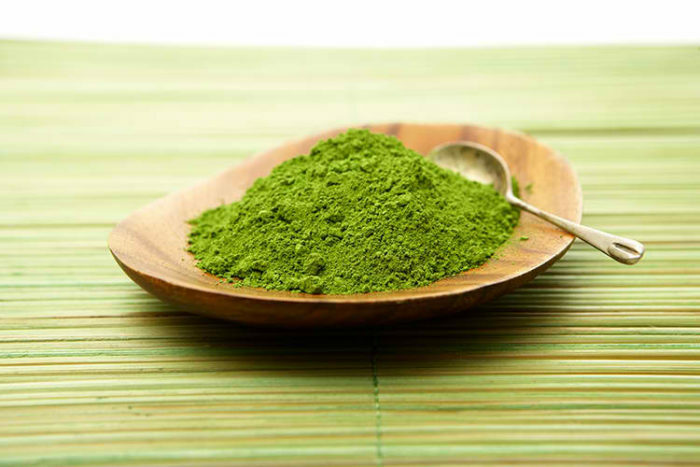 This section of the article will examine the health benefits of matcha green tea. The most impressive and notable element of matcha is the high levels of catechins and natural antioxidants present. It’s something of a powerhouse in this field. Due to the different growing process, one study found that matcha contains up to 137 times the amount of catechins found in normal green tea . This is good for your body as it can help to tackle damaging toxins. By taking on more matcha it could help to lower the amount of cell damage you experience, and even reduce the risk of disease . Key Point: Matcha contains a much higher catechin content than normal green tea. Matcha green tea has also been linked to a heightened ability to burn fat. Many natural weight loss supplements use green tea extract, and since matcha is a much stronger version, newer formulas are adding it to their products. One study into green tea found that the catechins within it helped to boost weight loss during moderate exercise by up to 17% . 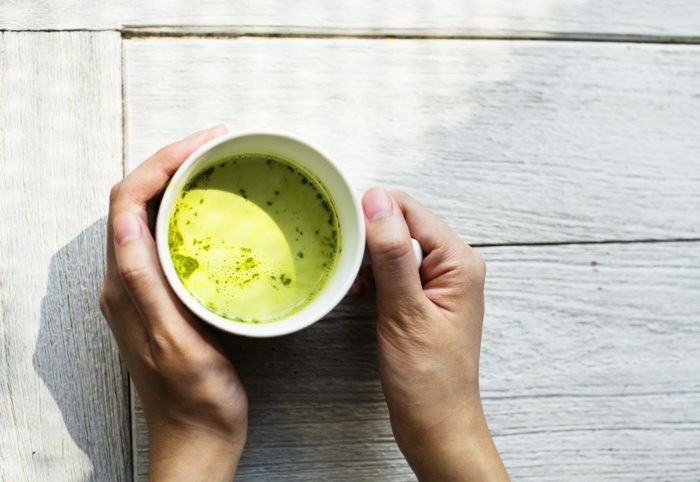 In a larger review of 11 different studies, it was proven that supplementing a diet with green tea can help to reduce body weight and maintain lower fat levels . Key Point: The catechins in matcha green tea may help to boost your weight loss results. New research indicates that matcha green tea benefits include boosted cognitive function. One study gave 23 participants 4g of matcha green tea powder in either a bar or tea and found the ingredient improved attention, memory and reaction times . Matcha also contains more caffeine that other strains of the tea. Studies have also linked this stimulant to enhanced brain function, offering better memory , heightened reaction times  and greater attention span . Interestingly, Matcha is a source of l-theanine too, a powerful nootropic compound found in green tea that boosts alpha brain waves . This results in a sense of focused calm that complements the caffeine in matcha, which creates a clean, jitter-free energy lift . Key Point: Compounds within matcha can help with attention span, memory, reaction times and focus. Studies on diabetic rats have linked matcha green tea supplementation with preventing damage to both the kidneys and liver . Another study looked at the results of 15 pieces of research and found that regularly drinking green tea can help to reduce the liver disease and the harmful enzymes that come with it . However, this doesn’t definitively mean matcha green tea is responsible for these changes. Other factors may have played a part and more human research trials are needed to get a better idea of its full potential. Green teas with similar nutrient profiles to matcha have also been linked to lower blood pressure and a reduction in heart disease . Key Point: Regularly drinking green tea may help to combat liver and heart disease. 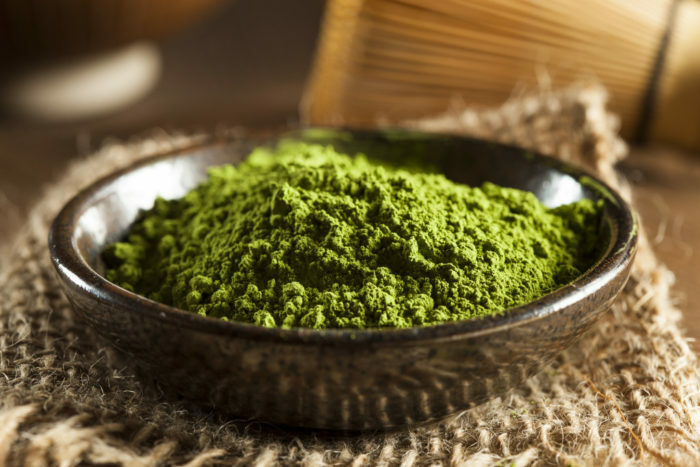 Due to the high level of antioxidants and healthy amino acids in matcha green tea powder, test-tube and animal studies have shown it may be able to play a part in preventing some cancers  . In one study on rats, green tea extract was shown to reduce tumor size and slow the growth of cancer cells . More research is needed to confirm this, however an initial look seems promising. Key Point: Research indicates green tea could play a part in preventing the growth of cancer cells. Results from matcha have been recorded at as little as 500mg per serving. The main concern with measuring how much matcha powder you should be taking on a day is the caffeine content. It contains around 35mg of caffeine per 1g or half teaspoon. Depending on how much you put in a cup, you should not exceed a maximum of 400mg of caffeine a day, as suggested by the US Department of Agriculture and the European Food Safety Authority . Therefore, we’d recommend anything between 2-4 cups of matcha green tea day, based on a teaspoon serving per cup. Green tea is largely considered safe to consume in moderate amounts. Side effects can occur if the higher caffeine levels within the tea aren’t correctly accounted for. If too much caffeine is consumed it can cause a range of issues, including headaches and migraines  through to heart palpitations and anxiety . If there is a chance you could be pregnant you should avoid consuming caffeine. This is because it’s been linked to lower birth weight in babies and even miscarriage in extreme cases . Although green tea and matcha may be two birds of a feather, one is far more potent than the other. This Japanese variant of green tea packs a powerful antioxidant punch, along with an array of benefits. Various studies and research findings have revealed it to be something of a powerhouse that may improve overall health and wellbeing. When taken correctly, it’s safe and free of side effects. 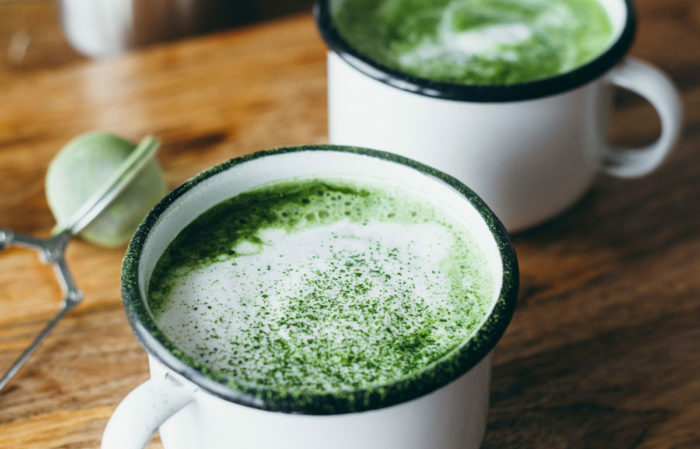 What’s more, because Matcha comes in a powder format, it’s easy to incorporate into your daily menu and can now be found in a variety of tasty foods. Pham-Huy, Lien Ai et al. “Free radicals, antioxidants in disease and health” International journal of biomedical science : IJBS vol. 4,2 (2008): 89-96. Nobre, A.C. et al. L-theanine, a natural constituent in tea, and its effect on mental state. Asia Pac J Clin Nutr. 2008;17 Suppl 1:167-8. Higashiyama, A. et al. Effects of l-theanine on attention and reaction time response. Journal of Functional Foods. Volume 3, Issue 3, July 2011, Pages 171-178. Hollman PC, et al. Catechin intake might explain the inverse relation between tea consumption and ischemic heart disease: the Zutphen Elderly Study. Am J Clin Nutr. 2001 Aug;74(2):227-32. Siddiqui IA, et al. Green tea polyphenol EGCG sensitizes human prostate carcinoma LNCaP cells to TRAIL-mediated apoptosis and synergistically inhibits biomarkers associated with angiogenesis and metastasis. Oncogene. 2008 Mar 27;27(14):2055-63. Epub 2007 Nov 12. Hazgui S, et al. Epigallocatechin-3-gallate (EGCG) inhibits the migratory behavior of tumor bronchial epithelial cells. Respir Res. 2008 Apr 21;9:33. doi: 10.1186/1465-9921-9-33. Kavanagh KT, et al. Green tea extracts decrease carcinogen-induced mammary tumor burden in rats and rate of breast cancer cell proliferation in culture. J Cell Biochem. 2001;82(3):387-98.